Having been on the grind churning out a variety of projects over the past several years in various creative guises, Maryland-reared, Brooklyn-based MC and producer Oddisee is definitely due to gain wider recognition soon. And if The Good Fight isn't the record that delivers him those rewards, it won't be for its lack of worthiness. Like much of his recent solo material, The Good Fight is rooted in a consistently pleasant and organic mix of live instrumentation and soulful hip-hop beats. Brassy horns are prominent on first single "That's Love," as well as the blissful "Contradiction's Maze." Oddisee's skills on the boards are well established — he emerged on the scene as a producer and has released several instrumental projects — but he stretches beyond the production style of his work on last year's Diamond District project and his usual solo creative approach on the mic on this project. Tracks like "Counter-Clockwise" and "First Choice" feature Oddisee deploying a capable singing voice, conveying an added layer of honesty that complements the album's concept. 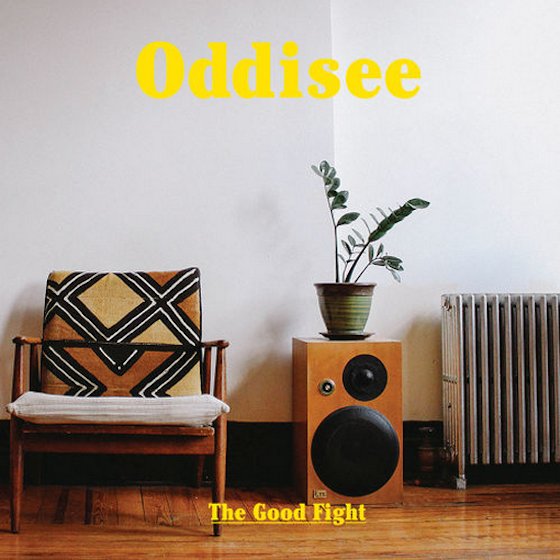 Topically, The Good Fight finds Oddisee introspectively exploring inner contradictions, battling for honesty to come out on top. "Meant It When I Said It" and "Book Covers" feature a humble Oddisee being open and frank about his own vulnerabilities and shortcomings. It's a cathartic exercise, and on "Belong To The World," the most easily accessible yet artistically uncompromising track on this project, Oddisee's refrain is "Someone asked 'What do you claim?' / I belong to the world."